Is it time to say goodbye to your swimming pool? Perth Pool Co. is Perth’s most experienced pool removal specialists. With a variety of equipment and machinery available, Perth Pool Co. can remove almost any existing fibreglass or concrete pool with minimum disruption to your property and surrounds. Pool removal can be an inexpensive and permanent solution for an unwanted, deteriorating swimming pool. Perth Pool Co. can also provide an engineering report (Compaction Certificate) upon request. This will include both Base Compaction and Finish Sand Level (FFL) certificates. 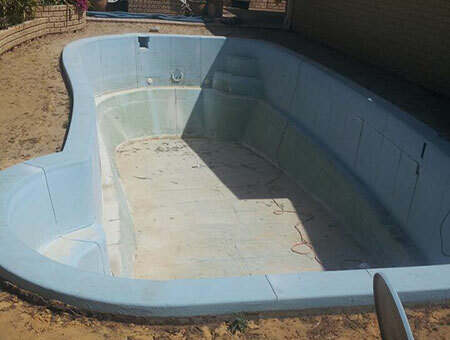 Perth Pool Co. can remove both fibreglass and concrete swimming pools. Fibreglass pools are removed by slicing the fibreglass into portable sized pieces and then appropriately discarded. This process will typically take one day. Concrete pools are removed with the use of a 5 tonne Rockbreaker, once completed the small pieces are removed by bobcat. This process will typically take 2-3 days. Perth Pool Co. provide backfilling and compaction up to ground level. All works are carried out by Perth Pool Co. No work is subcontracted. Access to your property is important when removing a swimming pool. If there is easy access for larger machinery Perth Pool Co. has a range which will allow a faster and more cost effective result. Our technicians are fully trained and proficient in using this larger machinery, ensuring your pool is removed as quickly and efficiently as possible. 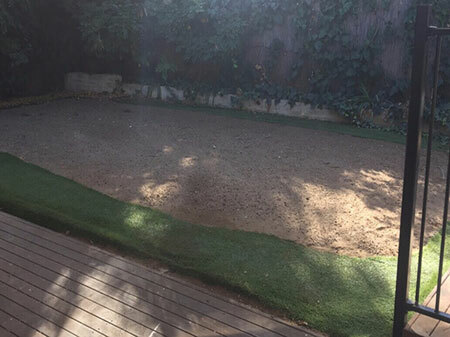 Perth Pool Co. understands that a pool removal can be messy and will take all the necessary actions to leave the site a clean and safe area for your landscaping requirements. ​Perth Pool Co. have a range of small Bobcats and Excavators which can fit through narrow areas down to 1200mm in width. Our technicians are highly skilled and experienced in using these types of machinery, ensuring ​your pool is removed with the highest level of safety and efficiency. At Perth Pool Co. the condition of your property is one of our highest priorities. To ensure there is minimum disruption, our specialists exercise extreme care when navigating the machinery and will lay load spreading boards over vulnerable areas upon request. Perth Pool Co. have the expertise to have your swimming pool removed by crane. Whether you are wanting to relocate, sell or simply remove your pool but have completely limited to no access, Perth Pool Co. can accomodate. Our technicians will excavate the area directly around your pool and locate the Loading Lugs in preparation for the crane operators. Once removed, the area can be backfilled and tidied. Transport of your swimming pool can be arranged upon request. Trust Perth Pool Co. to remove your pool today.